Understanding the new FLSA overtime rule is one thing. But knowing which changes to make in your business is another matter altogether. What are your rights under the FLSA? What are your responsibilities with overtime pay? And how can you ease the transition for affected employees so your business continues running smoothly? In our special post-webinar Q&A session, Jaime Lizotte, HR Solutions Manager, and Shanna Wall, Compliance Attorney, answer top questions from webinar attendees. Are non-exempt salaried employees required to be at the minimum salary threshold? No. Only exempt employees must be paid at least the minimum salary requirement, $47,476, to remain exempt. Non-exempt employees, whether they are paid hourly or salary, must only make at least minimum wage. They don’t need to be paid the new salary limit set for an exempt employee. State and local laws may actually have a higher minimum wage than federal law requires. Check your state and local laws for your minimum wage requirements to make sure that whatever you are paying your hourly employees, that it meets your state and local requirements, if it is higher than federal law. Given the new FLSA salary threshold, are there any changes to employees currently in non-exempt jobs that earn more than new FLSA salary threshold? No. These new rules only apply to exempt workers; there is no salary threshold for non-exempt workers or hourly workers. They can make over the salary threshold, but that does not change them to exempt, or they can make under the salary threshold as long as they make over the legal hourly minimum wage. It’s extremely important for you to check your state and local law to make sure you’re meeting your minimum wage requirements. Do overtime rules apply to Uber drivers? Uber and Lyft are very popular services that we have nowadays. It would depend on whether Uber drivers are legally classified as employees or independent contractors. The new FLSA rules do not apply to independent contractors; they only apply to employees. You have to really understand if the Uber driver is classified as an employee or as an independent contractor. If they’re independent contractors, you don’t have to worry about it, because the new rules don’t apply to independent contractors. Is it possible to be a non-exempt salaried employee? Yes, you can be a non-exempt salaried employee. I think part of the confusion here is that when you talk about exempt employees, they’re typically called salaried employees. 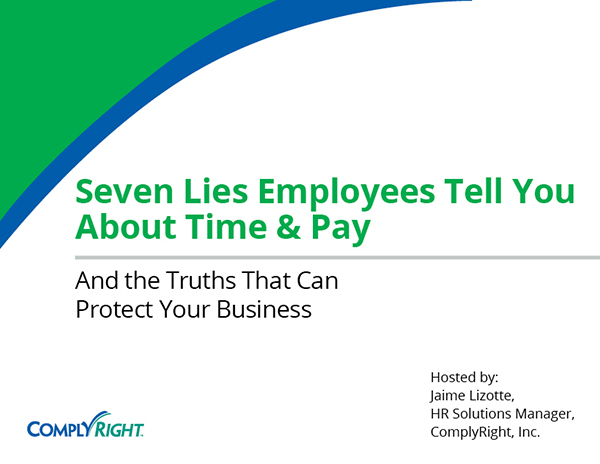 When you’re talking about non-exempt employees, they’re usually considered hourly employees. Technically speaking, you can be non-exempt and salaried. 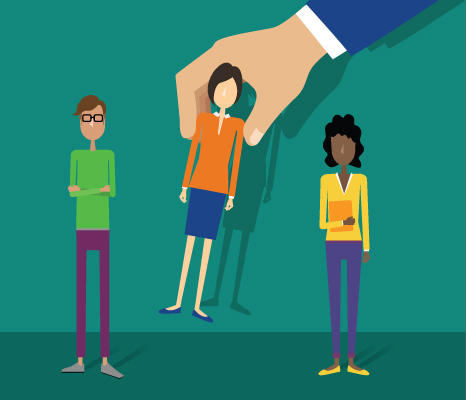 When you convert your exempt employees to non-exempt, you can actually leave them salaried. 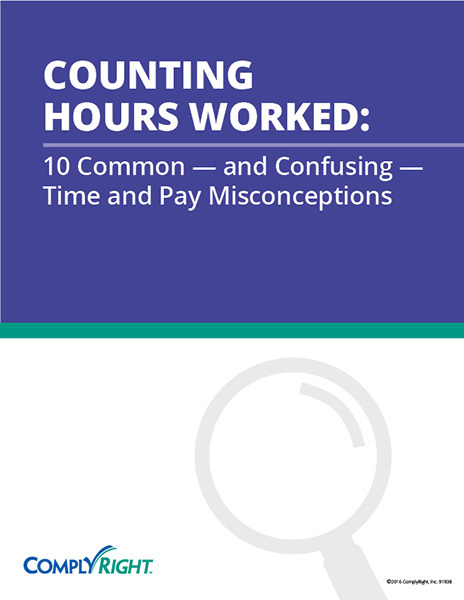 Even though they’re salaried, they’re still treated as non-exempt so they still have to follow timekeeping requirements, be paid above minimum wage when you count all their hours worked, and be paid overtime. If an employee is earning $50,000 and is identified as non-exempt based on the duties test, does that mean that the employee is non-exempt? I think what the question is asking is, if they’re paid $50,000 but they’re considered non-exempt because they don’t meet a duties test, does that still mean they’re non-exempt. Yes. Even though you’re making $50,000, you’re still non-exempt. This is similar to scenario 3, where we’re talking about a manual labor employee who was making $48,000. The salary is clearly over the new threshold, but the employee was still classified as non-exempt because she didn’t meet a duties test. Salary alone does not make you exempt; you have to still meet the duties test. Where is the fluctuating rate not allowed? It’s very complex and difficult to answer because rattling off a list of states isn’t going to suffice in this scenario, because there are a lot of legal requirements in play. Also, it’s going to vary among different federal jurisdictions and one jurisdiction could cover multiple states. It’s not even black and white in a particular jurisdiction, because the law can flip back and forth on the same issue within the jurisdiction. I strongly recommend that if you want to try to implement this option then consult with a labor law attorney to make sure this is the right option for you.